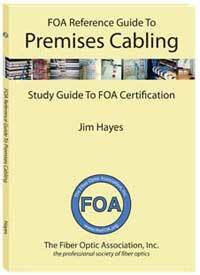 This is the FOA's Guide To Fiber Optics & Premises Cabling. 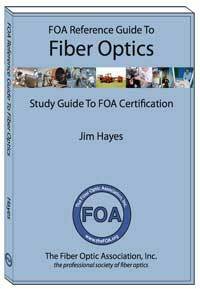 It includes almost a thousand pages of materials created by the FOA covering the basics to advanced topics on fiber optics and premises cabling.The goal of this website is educating students, users, designers, installers or anyone interested in the subject of fiber and cabling for communications systems. Jump To Reference Topics - click on any of the topic below to jump to the complete listing of topics on the subject in the FOA Guide. Ahora en español! - Now in Spanish! en français - Now in French too! Fiber Optic Network Design And Management Ahora en español! - Now in Spanish online! Fiber FAQs (FAQs = Frequently Asked Questions). 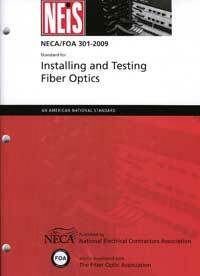 See the "Fiber Optic Technology and Standards" Section below for information on networks, WDM, etc. Networks Networks are built on cable plants but it helps to understand how they work. Media Conversion: Converting copper or wireless to fiber, etc. Safety procedures Including Eye Safety Video on safety on FOA Lecture 2: Safety When Working With Fiber Optics. 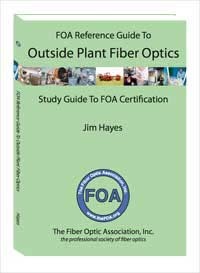 The FOA and NECA wrote this ANSI standard (American National Standard) covering the installation of fiber optic cable plants. Available for free downloads for FOA members or for purchase from NECA. More. Myth: Does Glass "Flow" Over Time? See the Testing Section for more information on how components are tested. Ahora en español! - Now in Spanish online! See the Components Section for installation processes for fiber optic cable plant components and the Testing Section for more information on how installed cable plants are tested. Fiber Optic Network Management (For Managers). dB and dBm: Units of Measurement More on dB, history and the math. 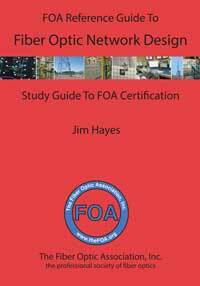 Designing Fiber Optic Networks - for contractors, designers, installers and users and the reference for the FOA CFOS/D Design Certification (PDF, 1.3 MB). 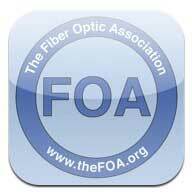 The FOA has more than 100 videos on YouTube, including Lecture Series on Fiber Optics and Premises Cabling, Hands-On lectures on both and some other informational and instructional videos. For all the videos, go to the FOA Channel "thefoainc" or use the direct links below. Below is a list of the current lectures and hands-on videos. We're looking for ideas for topics for future lectures. Send your ideas to <info@thefoa.org>. Careers In Fiber Optics This video was created to introduce the newcomer - particularly the student in Jr. High or High School - to the types of careers that exist in fiber optics, how to learn more about them and how to prepare for a career in this fast-growing field. 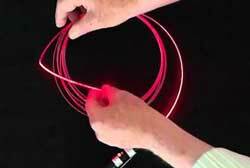 Fiber Optics For Teachers - An Introduction A special video for STEM teachers K-12 and tech schools showing how to demo fiber in the classroom. More for STEM teachers below. FOA Lecture 50 What Do You Strip When You Strip Optical Fiber? 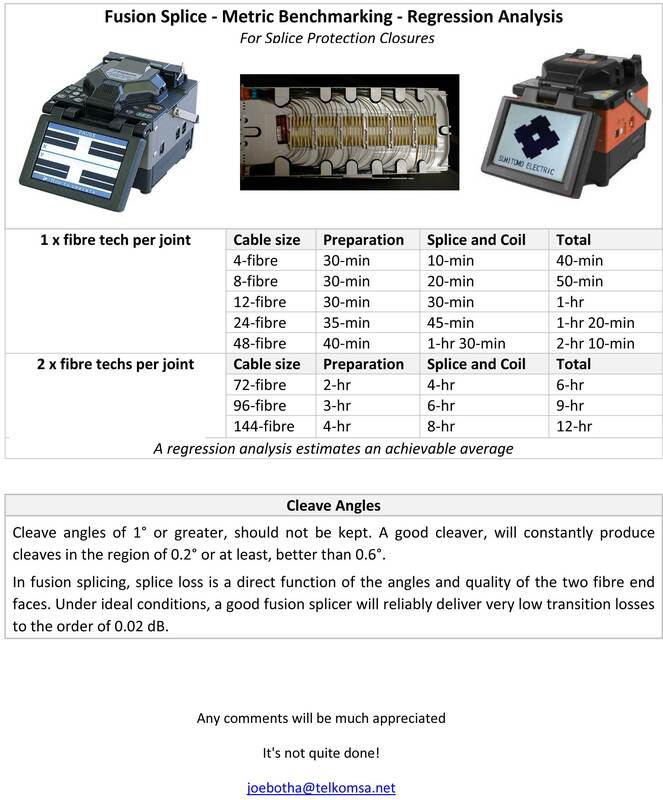 Fiber Optic Stripping Tools: Comparison of Miller, No-Nik and Microstrip and introduction of the New Ripley/Miller Center Feed stripper. Panduit's PanMPO Connector: Helps manage polarity with the MPO connector for testing and cable plants. View all the FOA YouTube videos including over 30 "hands-on" examples. Fiber U is the FOA website with free online self-study programs, Fiber U self-study programs cover most of the topics here and allows you to test your comprehension of the subject at the end of each section. For most programs, after you complete the self-study part you can take an online quiz and get a certificate of completion. 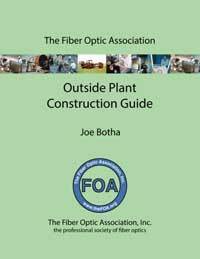 FOA has textbooks on Fiber Optics, Premises Cabling, OSP Fiber Optics and OSP Construction. All are self-published by FOA and available at very reasonable costs. Available printed or eBooks on the Amazon Kindle or Apple iPad/iPhone. Click on each book for details. The "Fiber Optics" book is available in Spanish and French. 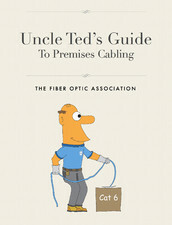 The FOA has just released its first APP for the iPad, a self-study version of the FOA Reference Guide to Fiber Optics. 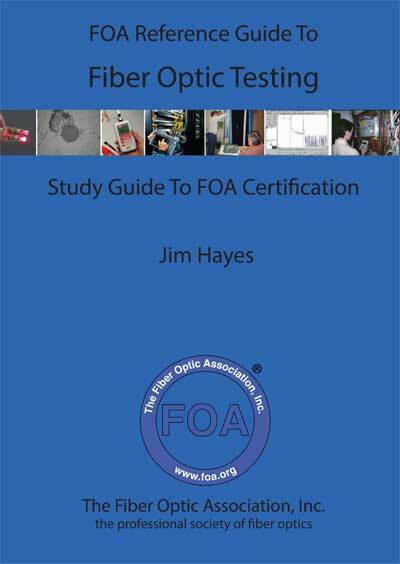 The FOA APP builds on the FOA basic fiber optic textbook to create an interactive learning environment that builds on the iBook electronic version of the book to add a guide to use for self-study and real-time testing that provides feedback on what you have learned and correct answers to questions answered incorrectly. STEM or STEAM (science, technology, engineering, arts and math) teachers with materials appropriate to their classes. 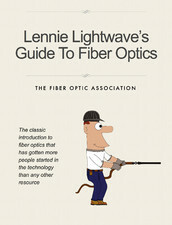 Fiber Optic Resources For Teachers. Interested in linking to FOA webpages or reproducing FOA copyrighted technical materials? Here is the FOA policy on use of our technical materials. There is a tremendous amount of information on this website, so finding things can be a challenge. Here are some guidelines to make it easier. If you want to look for a subject like standards, components or testing, go directly to the Table of Contents. If you want a self-study guide, go to Fiber U. This website will be constantly changing as new information is added. Suggestions regarding the content are welcomed. Send suggestions to info@foa.org . 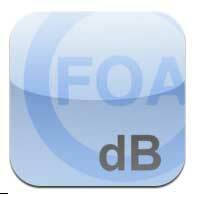 Printed, Kindle, iBook and iPad/iPhone App versions of the FOA textbooks are available. Details here. Some links are simple documents as webpages or PDF files formatted for printing, some are videos on YouTube and some are online PowerPoint presentations. The links marked (TT) are FOA Tech Topics From The FOA website. Links marked with the "YouTube" logo take you to the isted video on the FOA YouTube channel "thefoainc". The links marked VHO are "virtual hands-on" online PowerPoint presentations that provide a tutorial showing actual installation practices in a step-by-step process designed to lead the reader through a hands-on procedure exactly as it would be performed in the real world. VHO tutorials do not work well with portable web devices like Smartphones. The links marked (Tutorial) are online PowerPoint presentations that provide a tutorial on the subject. Tutorials do not work well with portable web devices like Smartphones. All links open in new windows, so you can close that window and return to the Table of Contents.